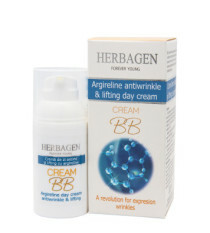 Products from this category prevent premature ageing of the skin due to expression lines. These lines become visible in your 30s, particularly in the upper parts of the face and are caused by repetitive motions of facial muscles that in time remain contracted. 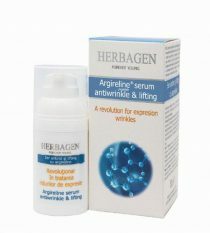 Argireline is the first revolutionary hexapeptide with proven anti-wrinkle and lifting effects on expression lines. 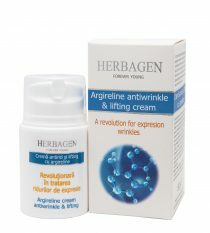 Unlike the botulinum toxin which causes temporary paralysis on the injected muscles, topical application with 5-10% Arigerline produces muscular relaxation, skin detensioning and prevents already present contracting for a couple of hours. 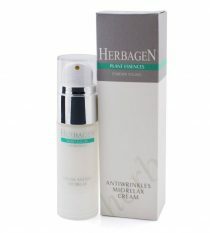 Clinical tests have shown younger and more relaxed skin, a quick reduction in the volume, length and roughness of wrinkles in only a few days. 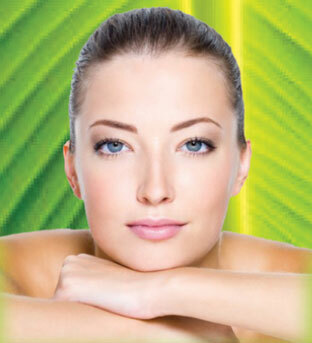 Oligopeptides from okra (Hibiscus esculentus) are active substances with miorelaxing effects, stimulating the skin’s own defense mechanisms against free radicals. The difference between Botox shots and peptides with muscular relaxation effects lies in the degree of control during daily applications. While Botox injection effects can last up to 5-6 months with the risk of ending up with a less than desired facial expression, daily applications with peptide products (Argireline, Mioxinol) have a controlled and reversible effect 24 hours after use. If, following Botox injections, the results are esthetically pleasing, by using products with Argireline or Mioxynol, one can prolong the muscle relaxation effect of the procedure.